Well, it is officially off-season and I have obviously been notably quiet. It is funny how the second I finished my race season, every other area of my life picked back up to fill the void (and then some). In the weeks since the Amphibious Challenge Swimrun, which I'm very excited to tell you about here, I attended two weddings, brought home my adopted puppy, and had the busiest period of the year at work. It has essentially meant a forced break from training. Unlike at the end of last season, I was actually on quite a high following my last race and felt like I was motivated to train still. However, this busy season has prevented me from really getting any training in, save for the odd run and for my Tuesday night coaching duties at OTC's Tour de France. I'm working on getting back into the swing of things though and figuring out George's (my puppy) schedule and how to fit training in around his walks. I'll leave this though so we can talk about the swimrun! 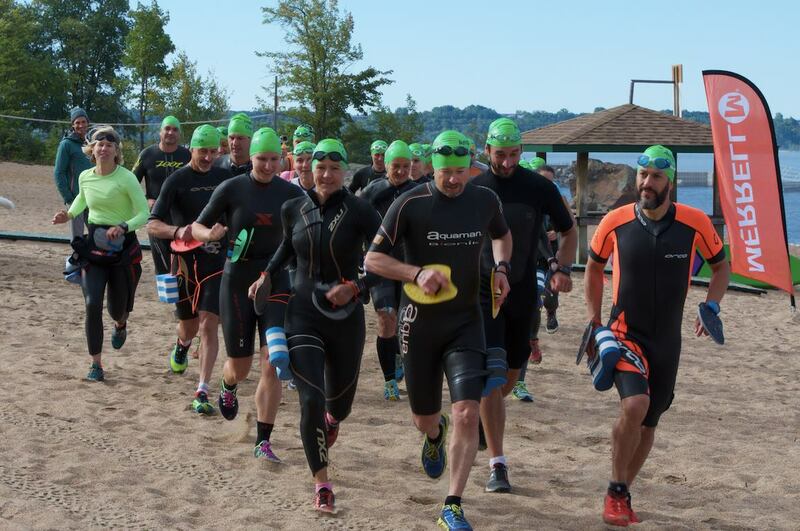 First, what the heck is a swimrun? This was a question that I asked myself when Dave first mentioned this race to me. 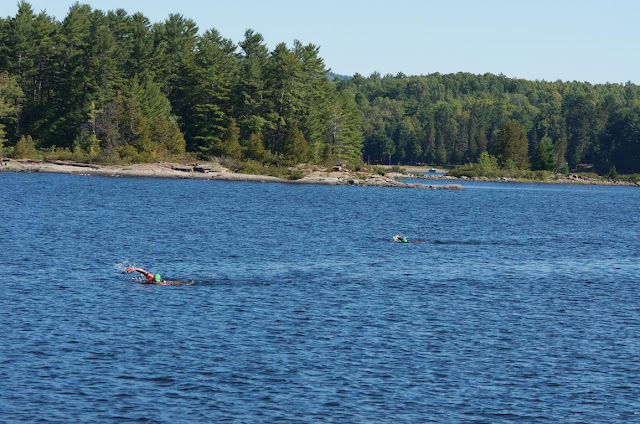 After a bit of research, I discovered that a swimrun is an adventure style race that incorporates multiple legs of open water swimming and running over various types of terrain. The story is that the event originated as a drunken bet between Swedish brothers. 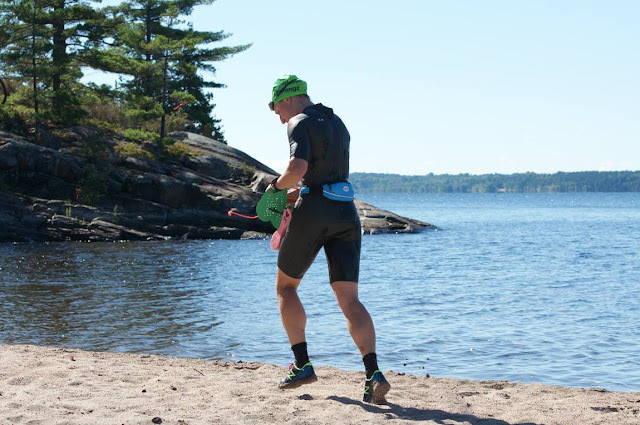 The original swimrun, held first in 2006, ÖTILLÖ has grown massively and is now considered the World Championship, consisting of 75 kilometres of which 10 km are open-water swimming and 65 km are trail-running, across 24 islands in Sweden. There are a number of swimruns, both independent and under the ÖTILLÖ banner, now world-wide, and I was fortunate enough to participate in the first swimrun in Canada - the Amphibious Challenge. So what is the Amphibious Challenge? Canadian adventure racer, entrepreneur, and founder of Stoked Oats, Simon Donato, brought the concept of the swimrun to Sheenboro, Quebec with the Amphibious Challenge. The race consisted of about 12k of running and 3k of swimming. It started with a longer run of ~9k at the historic Hotel Pontiac and then proceeded with shorter swim and run segments across 6 islands in the Upper Ottawa River to finally return to the Hotel. 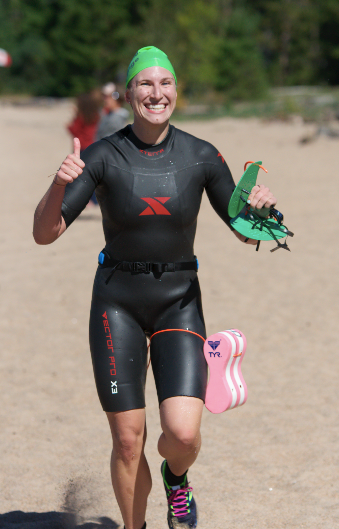 All of the racing is done while wearing both a wetsuit and running shoes given that there are a lot of short transitions between swimming and running. I'll talk a little bit about my equipment next. As I mentioned, this was the first event of its kind in Canada. Simon, obviously has experience with the format, as he raced at ÖTILLÖ for his show, Boundless. He also benefitted from amazing community volunteers who helped put on a truly incredible event. It was one of the best supported, friendliest events that I have ever participated in and it was so heartwarming to see how much pride the community had in Sheenboro. So how'd the race go? 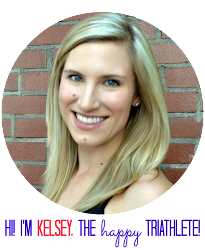 Before I signed up for the race, I had a chat with someone who had completed the Casco Bay Islands Swimrun. He told me that it was, "the most fun [he] had ever had with a bib on." Well, we didn't wear bibs, but I can definitely agree that swimrun is a blast. I spent the week ahead of the race organizing my gear: wetsuit with the legs and sleeves cut off, whistle, compass, pull buoy, paddles, trail shoes (New Balance Vazee Summit), merino wool socks, Coeur Sports bikini, cap and goggles. I posted the before and after image of my wetsuit on Instagram to the shock and dismay of many that I would take scissors to a wetsuit. It allows you to run more freely, as well as stay cooler while running though still retaining some warmth for the water. The pull buoy involved creating four holes through the pull buoy, with metal bushings to ensure the bungee cord didn't rip through the foam, and bungee cord to secure the whole thing to my leg while running and swimming. I followed this pull buoy modification tutorial from Head. The race was a Saturday morning, so I traveled up to Frankie and Dave's cottage after work on Friday. We had a lovely group dinner, along with Valerie (who was also racing) and her family. After dinner we all made our last equipment adjustments, then got to bed for a 7 am wake-up call. Dave made a delicious baked oatmeal breakfast. We also got to kick off the day of celebrating Dave and Frankie's 33rd anniversary by listening to a great song by a Canadian artist, Royal Wood, that was absolutely perfect given the day, "Forever and Ever." (There was also a breakfast of Stoked Oats and Kicking Horse Coffee at the event, but we decided to eat before going over. I love Stoked Oats though too!) We made our way to the Pontiac Hotel - the race start and finish location - to get ready for the day. It was absolutely freezing and the river was cloaked in a thick blanket of fog that morning, so Simon and the race organizers postponed the start a bit until the fog lifted in order to ensure the safety of the athletes. Meanwhile, we all huddled inside the hotel dining room to stay warm and laughed about how silly we all looked in our wetsuits and running shoes. It was a small field of about 23 people, and there were quite a few familiar Ottawa faces amongst the group. It was finally time to get the day started, and we got to enjoy a beautiful rendition of "O Canada" along with a speech from the mayor of Sheenboro. Then we made our way onto the beach for the start of the race. The first run was about 9k, and I took off conservatively, though was trying my best to stay close to the lead group. While it was quite cold, I warmed up very quickly given that I was wearing a wetsuit. Eventually, I unzipped the back to let some breeze in to cool me off. I had also strapped my paddles to my race belt, which turned out to be pretty annoying at first. But the scenery was beautiful enough to distract me from those concerns as we ran through the woods on a four-wheeler trail. All along the way, we were greeted by cheering Sheenboro residents and cottagers to help motivate us and guide us along the route. Once we reached the first water entry-point, I grabbed a drink and walked into the river. 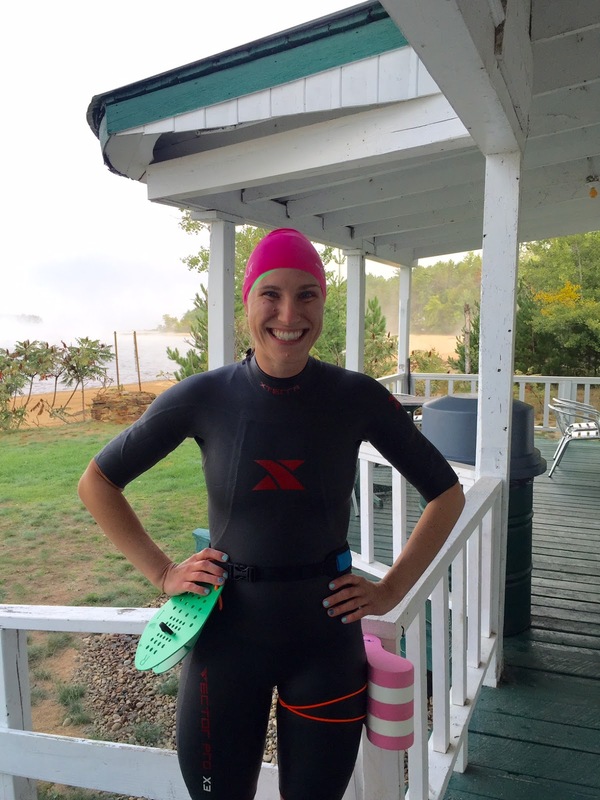 After swimming a few strokes, I realized that I had forgotten to zip up my wetsuit, and struggled to get it zipped so I could continue on my way. As I got closer to the first dock to exit the river, I also realized that my bungee cord had come loose and I was about to lose my pull buoy. So the first part of my run was a trot as I tried to fix the bungee cord. In fact, most of my "running" from that point on was more of a careful trot due to the topography of the islands we traversed along the route. Each island was beautiful and we were always welcomed warmly. At each re-entry point for the river, we were checked off the tracking list and pointed toward the next island. All of the volunteers were fantastic, and many of those volunteers were actually the owners of the islands, so it really was wonderful of them to open their land for us to use during the race. Thank you! The swims became increasingly choppy as the wind picked up throughout the day. I also spent three of the 8 swims with a man drafting on me. In the type of conditions we faced, it meant that I was doing a lot of extra work and probably swimming much slower than I would have liked. I finally lost him as I tried to pick up the pace in my trotting across the islands, so I was able to complete my final two swim legs on my own. The final swim was by far the hardest, and it seemed that the shore would never appear. The current was stronger at that part of the river, and there were a few boats passing, so I ended up sighting quite often to ensure I wasn't wasting time going off course, or about to get run over by a boat. I finally reached the beach for the final run to the finish. It was wonderful to be greeted by lots of spectators and volunteers at the finish. After a fun day of swimrunning, I was quite happy to finish 4th overall and as the second woman (Michelle crushed it and I had no hope given that first longer run portion). We cheered in the other finishers and tried to warm-up (I immediately put on my new Farm to Feet socks that we received in our race goody bags). Then we enjoyed a fantastic lunch with chili, salads, homemade baked goods, delicious bread, and cookies. All in all, I would highly recommend this particular event and swimrun in general. It was an awesome experience, a lot of fun, and a great new challenge. The Amphibious Challenge was one of the best events that I have participated in due to the great support of the community. If you are looking for a fun challenge for next season, you might want to make a trip to Sheenboro! The weekend was also a really wonderful one overall. A huge thank you to Frankie and Dave for being such gracious and generous hosts. They also shared a lovely gem with us - the North Fork Country Kitchen - where we had a fantastic dinner on Saturday evening.